On August 11 and 12, 2017, white nationalists from around the country gathered in Charlottesville, Virginia for a rally they called Unite the Right. They were met by counter-demonstrators who showed up to protest against the rally. Heather Heyer, 32, was one of these counter-demonstrators. She was killed at the rally by a white nationalist when he drove his car into the crowd, also injuring 19 others. Heather grew up in a small town in the area but was working in Charlottesville at a law firm when she was killed. 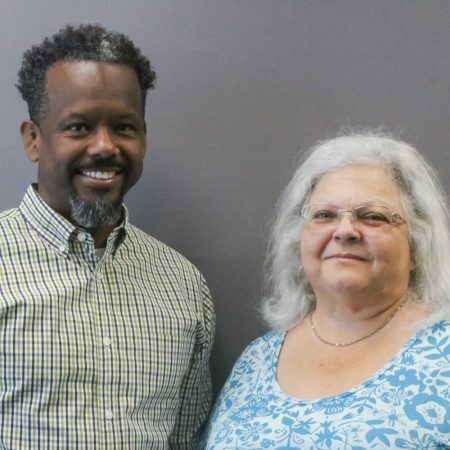 At StoryCorps, her supervisor and friend, Alfred Wilson, sat down with her mother, Susan Bro, to remember the first time he met Heather, while she was interviewing for a job. Produced by StoryCorps. Originally aired August 10, 2018, on NPR’s Morning Edition.